Home » Blog » Last Chance for a 2018 Tax Credit! Last Chance for a 2018 Tax Credit! With the new year rapidly approaching, now is your last chance to take advantage of Maryland’s Community Investment Tax Credit (CITC) in 2018! If you live in Maryland and donate at least $500, your giving dollars will have an even greater impact when invested in your local reuse warehouse. The CITC program rewards Maryland taxpayers who donate to nonprofits serving local communities. A smart gift gives you a tax credit and more bang for your buck. The more you donate, the more you save! We must be in receipt of your financial donation in the 2018 fiscal year (before January 1st) in order for you to qualify for the 2018 tax credit. But don’t let that stop you from donating next year! If you donate in January, you’ll get a 2019 tax credit. Shop your conscience. Donate your carbon footprint. Lift up your community. Every donation and purchase, large and small, helps us lift up local communities through reuse. 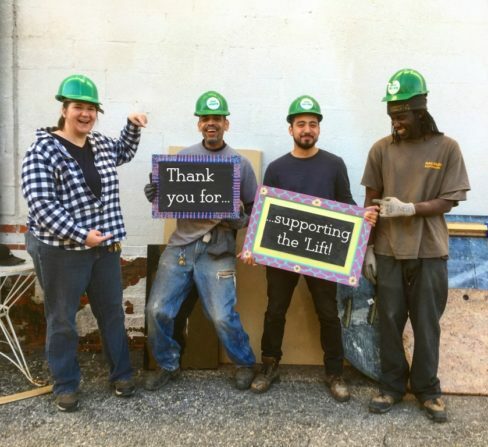 Community Forklift turns the construction waste stream into a resource stream for communities in the DC region – by keeping perfectly good items out of the landfill, preserving historic materials, providing low-cost building supplies, and creating local green jobs.